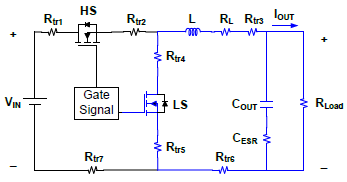 The synchronous buck circuit is wildly used to provide non-isolated power for low voltage and high current supply to system chip. 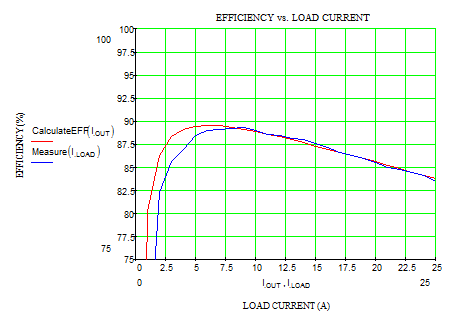 To realize the power loss of synchronous buck converter and to improve efficiency is important for power designer. 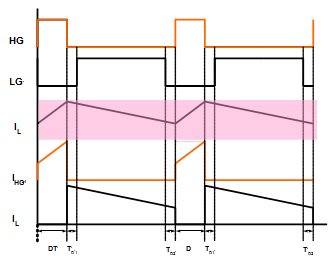 The application note introduces the analysis of buck converter efficiency and realizes major power component loss in synchronous buck converter. 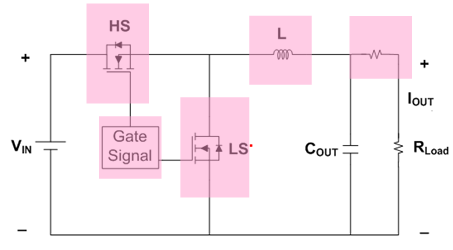 Low-power loss and highly efficient synchronous buck converters are in great demand for advanced micro-processors. 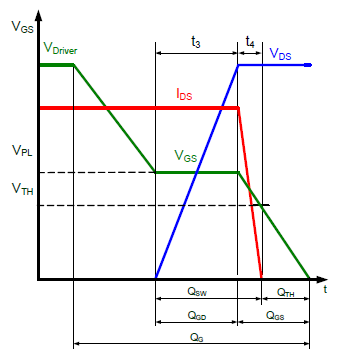 The application note introduces and provides how to calculate the majority of power losses in a typical synchronous buck converter occur in the following components based on that the converter works in continuous conduction mode (CCM) fixed switching frequency, fixed input voltage and fixed output voltage. 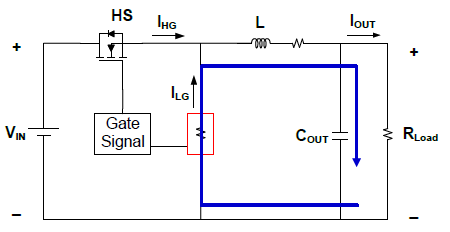 HMOS (High-Side MOSFET) summarizes to include : switching on & off and conduction loss. 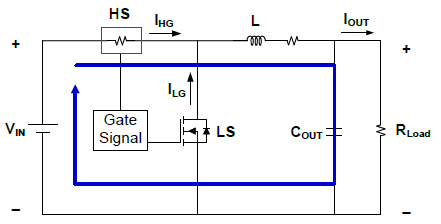 LMOS (Low-Side MOSFET) summarizes to include : conduction, dead-time and reverse recovery charge loss. 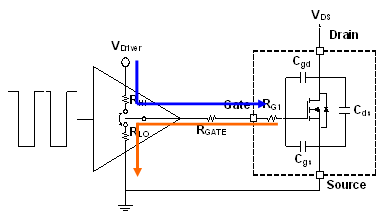 The conduction loss of high-side MOSFET is determined by the on-resistances of the MOSFET and the transistor RMS current. 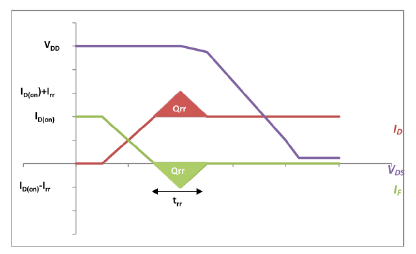 Dead-time loss is induced by LMOS body diode conduction during dead-times. 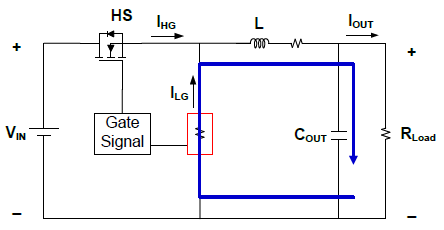 Inductor core losses are major caused by an alternating magnetic field in the core material. 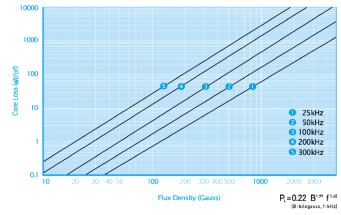 The losses are a function of the operating frequency and the total magnetic flux swing. 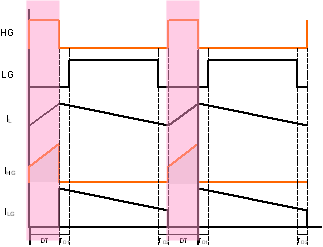 The core loss may vary from one magnetic material to another. 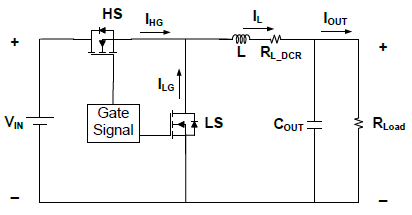 The gate driver loss is straightforward given by MOSFET driver to charge /discharge total HMOS and LMOS Qg. 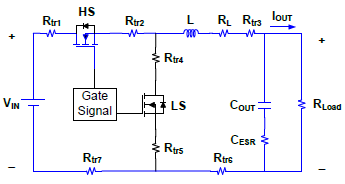 The gate driver loss is depending on MOSFET total gate charge, driver voltage and Fsw. 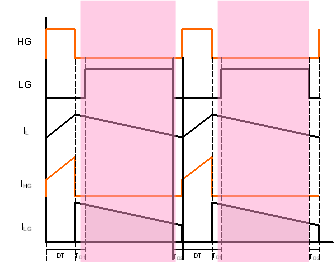 Figure 18 could be illustrated as Figure 19 and Figure 20 with Rtr1~Rtr7 with loop1 (HMOS conduction) and loop2 (LMOS conduction) in detail. 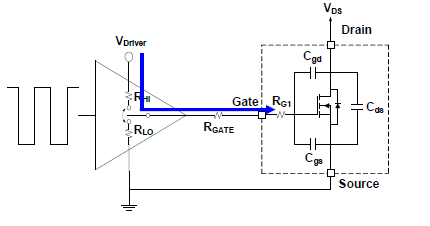 Although the buck converter power loss calculated equations are well introduced and documented. 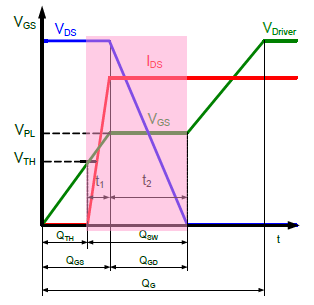 In order to check the accuracy of these power loss equations, Table1 shows the typical buck converter application parameter and Figure 21 illustrates the efficiency comparison between measurement and calculation. 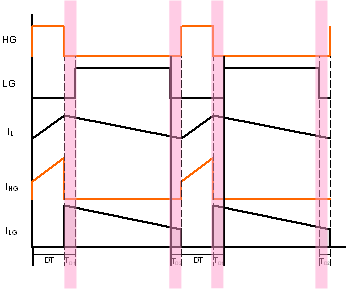 Figure 22 shows the key component loss in buck converter including HMOS, LMOS, inductor, driver and PCB trace loss. Readers can check what the major loss contributed in each system loading. 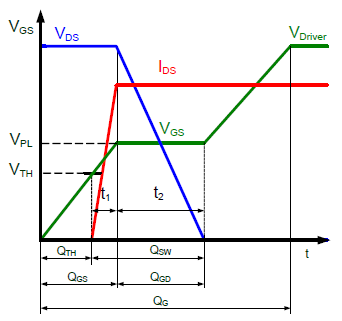 Figure 23 shows detail component loss in buck converter and illustrates the loss v.s Iout in the curve. 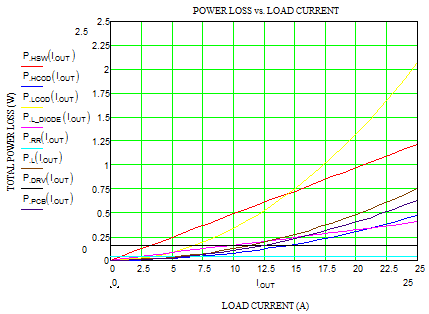 This application document analyzes power loss in synchronous buck converters and presents the detailed calculations for each part of the power loss. 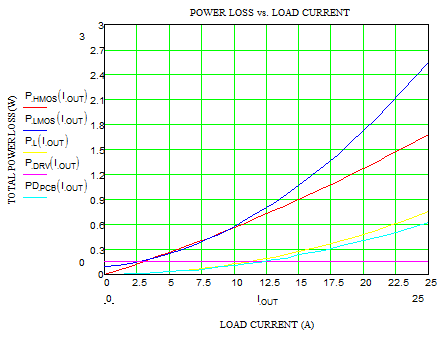 The loss calculation also compares with real buck converter measurement and provides the key component loss data to consider how to improve the buck converter efficiency for component and PCB plane consideration. 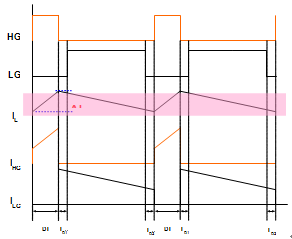 Leon Chen, “Power Loss Analysis for Synchronous Buck Converter”, Application Engineer Dept data, 2013. Nelson Garcia, “Determining Inductor Power Losses”, Coil craft Document 486, 2005.